The dance of tango, creators, and pursuers. The music, orchestras, and composers. The topics in tango poetry and poets. The main voices, singers, both male and female. Each one of these four streams through which creators and people in general have been able to express themselves are chronologically exposed from the origins up to current times. The work presents a complete and deep overview of tango and its principal architects, and it is the result of analizing over 300 hours of takes from movies, television, documentaries, and videos of personal property, all of them part of my private collection. Two presentations, for example, in two different days as seminars, or rather in the same day but with the necessary breaks to pause it. Dance: From the 1930s, when the first films appeared, up to date, we can witness over 40 scenes of dance, of well known dancers, as well as amateurs and people in general. We enjoy the scenes and analyze them by the type of movement, type of embrace or circumstance, and also by the historic moment when they were filmed. We will expand on what the creator-dancers contributed with, as well as those who continued with the evolution of the dance. We will get to know celebrities by their names and see them dance. The orchestras: We will travel from the 1920s to our days along rich films of tango orchestras and see their directors in action. The tradicionalists and the renovators, the composers and the instrumentalists of each moment in the history of tango, thus marking its evolucion. We will see why directors are so important and place them in time. 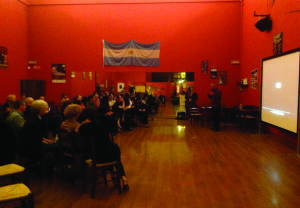 The following topics are recurrent and dear to the Argentine feeling; although universal in character, they are re-created from the Argentine idiosyncrasy: Abandonment, Worldly injustice, Lack of values, Death, Broken love, Comeback to motherland, Conflict between social classes, Love that conjures all evils, Friendship, Mother, Tango and the bandoneon, Football, Paris, Vices (gambling, alcohol, horsetracks, etc.). 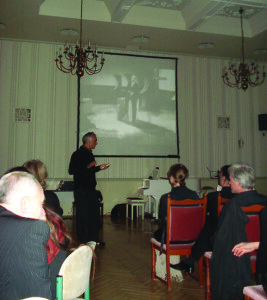 This lecture, illustrated by films, touches on some topics, to be chosen by the organizer, within poetry of tango. Each topic is presented as a brief essay and accompanied by the projection of a couple of tangos interpreted by well known singers, whose lyrics refer back to the topic in question. The spectator will thus know what tangos talk about, as well as tango’s great poets and their thoughts. The voices: This work (poetry and voices) involves the projection of at least 10 different singers, both male and female, interpreting the archetypal tangos mentioned in the poetry whose words in English are slided in at the same time. The number of topics to present depend on the length of the lecture, as the estimate for each topic is of 10 minutes, consisting of the introduction plus the projection of two tangos to illustrate the topic. Six or seven is considered the best number of topics. This alternative is a synthesis of both lectures/videos. Some scenes involving the dance, orchestras, and singers are omitted. Some parts are also omitted involving analysis of poetry, thus making up a lecture consisting of one single video chronologically organized that sets the priority on dance, orchestras, and voices, but taking up a few minutes to deal with the poetry, as well. 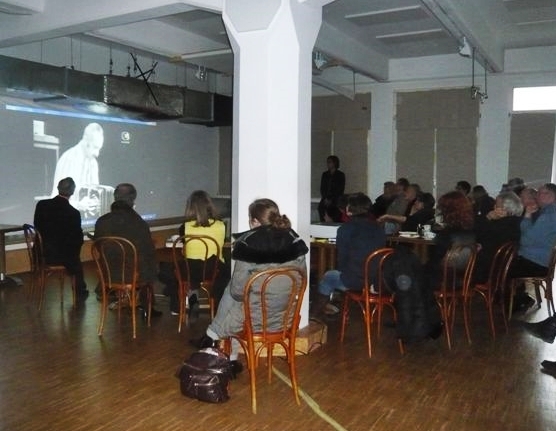 The projections are not played from beginning to end non-stop with the spectator sitting passively for over one hour. 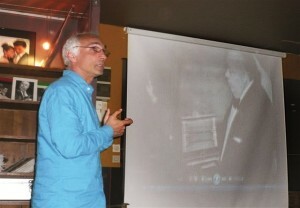 On the contrary, the films are short and with breaks for my explanations (in English) over the scenes being shown, to answer questions over certain scenes, to dispel queries, or to invite the public to analyze the coming scenes because of some specific peculiarity in themselves which requires special attention. Projector, sound equipment and cables needed to connect to my notebook. Screen or white wall in a good shape. The possibility to darken the room and a small lamp to be used near the computer. A small table and chair to be placed on one side, preferably near the public. 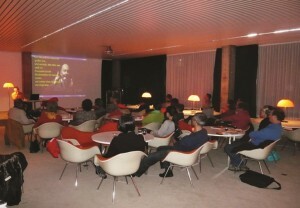 In some instances there has been a break in the middle of the presentation which the organizer finds it appropriate for drinks at the bar, in which case it is necessary to consider the complete time if, for example, there is to be another event after the presentation, such as a milonga, etc. Price of the conferences: To be agreed.